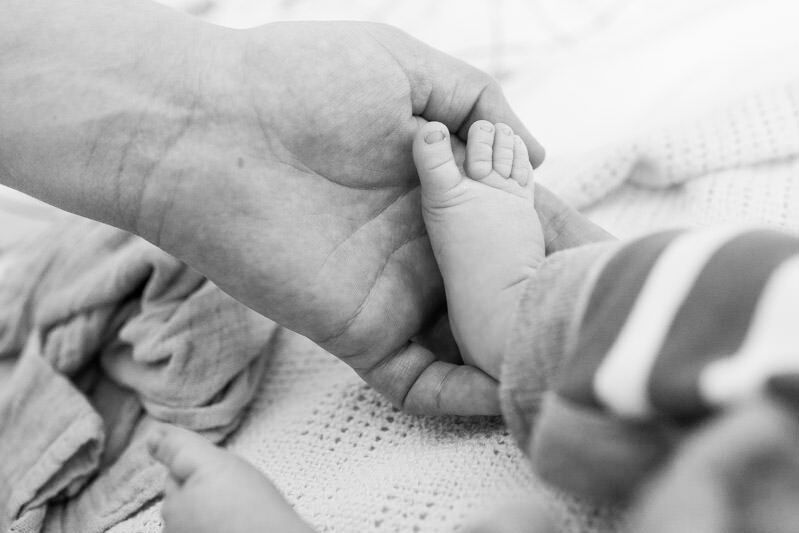 When it comes to a newborn photography session, every photographer will likely have a different opinion on this, and to a certain extent the timing may depend upon the style of photography you favour. For example, if you love the posed newborn look, then you will need to find a photographer who specialises in dressing and posing newborns (usually in studios) and these types of shoot usually need to take place within 2 weeks of a baby being born. My photography sessions are very lifestyle based rather than posed, and by that I mean that I love to capture a new baby at your home rather than in a studio setting. 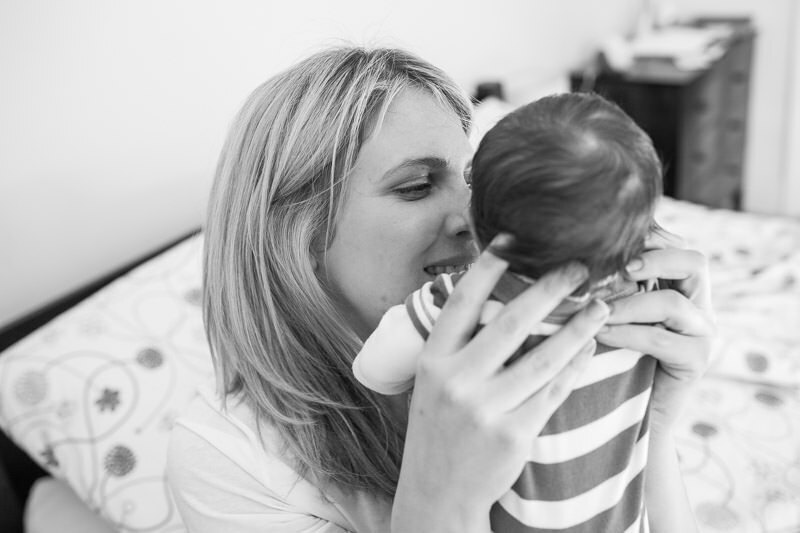 Nothing beats the magic of bringing a new baby home, so I like to capture as many details as I can, so that you have clear memories of baby’s first weeks to look back on in future. Us Londoners tend to move around quite a lot in our eternal quest for more space, which means that often baby’s first home won’t be somewhere they remember for themselves, and I think it’s a really lovely gift for their future to be able to show them the first place they lived. One of life’s cruel tricks is that the newborn phase is suddenly over before we know it, which is why I recommend trying to have some photos taken within the first 6 weeks of a baby being born. Everybody is different and the most important thing is that it feels like the right time for YOU, but scheduling a session within the first few weeks will ensure that you will always have memories that capture those hazy, magical days which pass by in a blur of joy and recovery and tiredness and ALL the overwhelming emotions that only a new baby can bring. Those first weeks might not be a time you look back on with absolute clarity decades down the line, so making sure you have some beautiful photos taken in natural light will make sure you keep the memory of how small they really were for you to look back on in future years, which is something you will be so proud to have.